If you want to place an order, please contact me either via telephone, email or the form on this page. I prefer to do business personally, to make sure that you not only get the product you need but also to provide you the confidence of dealing directly with the proprietor.  I want to make sure you're satisfied with your Packa and that it provides you with many miles of enjoyment along the trail. I am a one person company. I am the owner and only employee. Please be sure to read the warranty page for important information. eVent Packas---$170 + $10.00 shipped to US = $180.00 ON SALE ! The small size 30d fabric Packa is really closer to a medium in actual size. This is just temporary and a result of miscommunication between me and my new factory. In the future, the smalls will be back to where they are supposed to be. As always, if you buy a Packa and find it doesn’t fit, you may return it for a refund. The 15d smalls are correct. TRADES: I am a hiker, and as such, always looking to upgrade my gear. I welcome trade offers. Currently looking for an Osprey exos 48 or 58 in new condition espcially an older model.